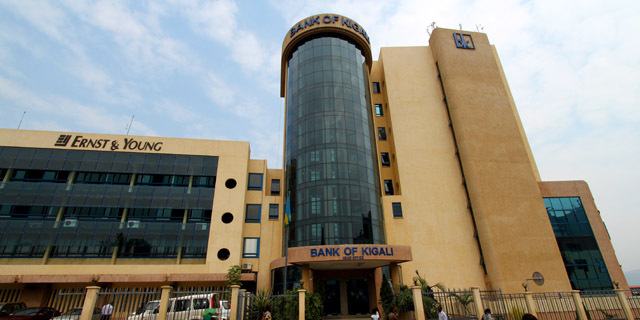 KIGALI – On the margins of the Africa CEO conference, the European Investment Bank, the long-term lending institution of the European Union, and Bank of Kigali have agreed their largest ever cooperation to support new business investment across Rwanda. Ambroise Fayolle, Vice President of the European Investment Bank and Dr. Karusisi, Chief Executive Office of Bank of Kigali formally agreed on the new private sector cooperation in the presence of the Ambassador of the European Union to Rwanda. “Unlocking private sector growth is crucial for sustainable development, job, and prosperity. The European Union welcomes the new cooperation between the European Investment Bank, the Bank of the European Union and the Bank of Kigali. This builds on the EIB’s support for the private sector across Africa and the joint commitment of the African Union and European Union to support sustainable investment and jobs.” said Nicola Bellomo, Ambassador of the European Union to Rwanda. This new European Investment Bank-backed credit line is built on this proven success and represents the first dedicated support for investment in foreign currency. This reflects the investment needs of internationally active companies and reduces currency exchange costs faced by the Rwandan private sector. This will include training to improve banking and credit risk management, environmental and social best practice and sector-specific skills such as agriculture value chain financing.